OK, so now you have bought almost all the hardware parts for your gaming pc including CPU, motherboard, and RAM. And now the last thing you want is to give all of your hardware components a reliable source of gaming power supply in order to get the maximum efficiency out of each component. Many times we don’t even understand the importance of the power supply unit, as most of the time, we only care about gameplay. It is fair enough to say that power supply doesn’t have any direct effect on gameplay, but it is the only thing that can put your gaming pc out of the performance if it cannot keep up with the demand of power needed by each of the respective components in your pc. Moral of the Story is to make sure that you choose the best power supply for your gaming pc that has the capacity to bear all the consumptions of the power needed by each of the components. To help you choose the best power supply, I have categorized the detailed review of different power supply brands corresponding to the wattage power each of them offers. If you are building a low or medium end gaming rig, then this range of power supplies are best suitable for your computer system, and this is preferred by most of the newbie gamers. Even if you have installed high-quality video card just like RX 580 or GTX 1070, then also an efficient stable 550W power supply will do just fine for your gaming system. So, my advice to you is to not go with high power supplies unless you are building an extreme gaming rig containing high-end graphics card and next-generation CPUs. 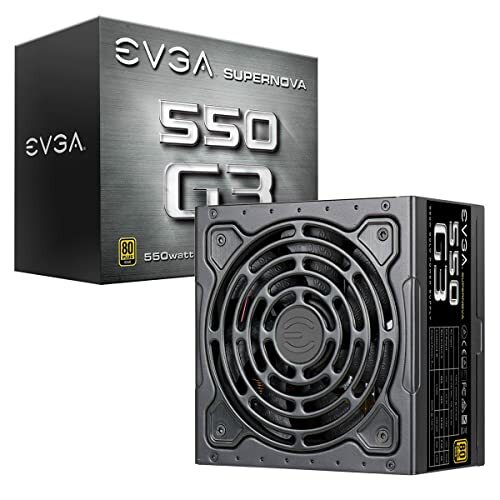 The first one on the list is EVGA SuperNOVA 550 G3 Power supply. These G3 Series power supply offers the next generation performance and features with the smaller size only a 150mm long making them some of the smallest type of power supply in the market today. In addition to that, a new hydraulic dynamic bearing fan offers better and quieter operations with an increased lifespan. It comes along with EVG ECO mode giving you almost no noise in low or medium load. The design of this power supply already take the efficiency of G2 Series model and make it even better with improved power efficiency and low ripple. This power supply has over 80 PLUS Gold rated efficiency with modular design and comes up with the award-winning warranty of 7 years and 10 years. 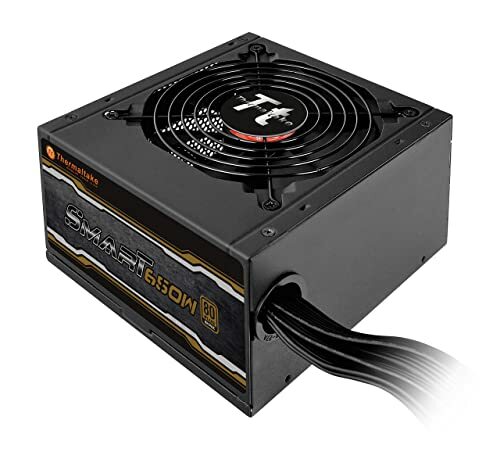 If you are more likely to do overclocking, then I would suggest going with a little bit higher quality and more expensive PSU as this one does fluctuate at higher clocks. Without a doubt, the EVGA SuperNOVA 550 G3 power supply is not only suitable but also the best power supply for gaming pc in the market. Something to know guys before I move on to the detailed review, Seasonic is an actual manufacturer, most of the power supplies you buy are manufactured by someone other than the label on the front of the box. On the other hand, Seasonic designs, manufacture, package then sell the power supplies you are buying from them. So by any chance, you make up your mind buying this Seasonic power supply for your gaming pc, then you already know they are the real manufacturer of it. 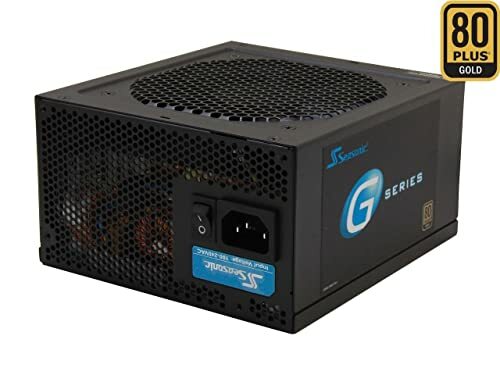 Seasonic G Series comes with 80 Plus Gold Certification which means the power supply can provide 87% efficient at 20% load, 90% efficient at 50% load, and 87% efficient at 100% load. This is a semi-modular power supply which means that the connectors everyone needs, every time they build the system are hardwired whereas the connectors that are not required to be fixed every time while building the system are not connected by default. It has DC to DC converter design that gives you almost full access of the output power supply because what the DC to DC design doing is actually taking the 12V and down converting it to other voltages. It also offers smart and silent fan control to maintain the proper cooling of the components which I really expect from Seasonic, as they were the one who pioneer the feature on the back of the power supply where you can turn the fan off for the 50% load on their 80 PLUS Platinum 1000 watt unit, unfortunately, that feature is not available in this model, but you can still enjoy the proper cooling with the smart inbuilt attached fan. Corsair is already a big name in the market and whatever comes with this name has to match a specific standard already been set up by the company in the market. 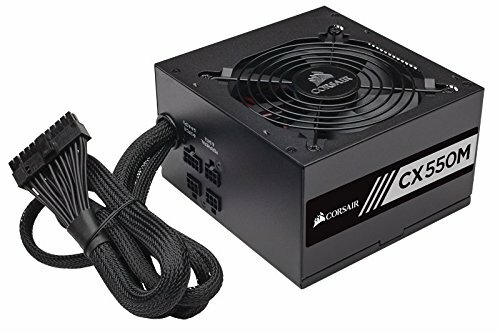 To claim the trust of the consumers, every CX Series PSU you buy firstly tested by the Corsair hired engineer’s team, then the overall product puts up in the market for selling. First and the most important thing you will find in this power supply is its low noise, it has 80 plus Bronze certified efficiency and a large diameter fan to make sure that the power supply doesn’t get heated up during long runnings. It doesn’t have any hardwired cabling as it supports a modular cabling system. You can connect the only cables you needed for your desired configuration, and it also helps in maintaining the clutter-free environment once it is fully installed. The only small thing which I do not like about this Power supply is its long cables, but again this might be only specific to my gaming case. Overall, it is the nice looking matte black finish high tech best budget power supply for gaming in the market. These range of gaming power supplies are suitable for those who are likely to play with a high-end graphics card like Nvidia’s GTX 980 Ti. This graphic card requires at least 650W of power to run smoothly. If by any chance you are more likely to move towards high-end performance for your gaming PC, then you should orient towards the 600-800W range. And If you are running two quality video cards in SLI/CrossFire configuration, then this range of power supply is the best fit for your gaming PC. It is also advisable to be in this range as in the near future if you would like to move to the new high-end devices, then at least you have an option to upgrade without worrying. 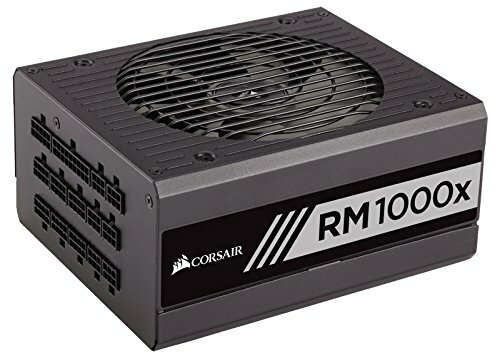 Corsair is dominating pretty much all when it comes to the buying of top rated power supplies for gaming. 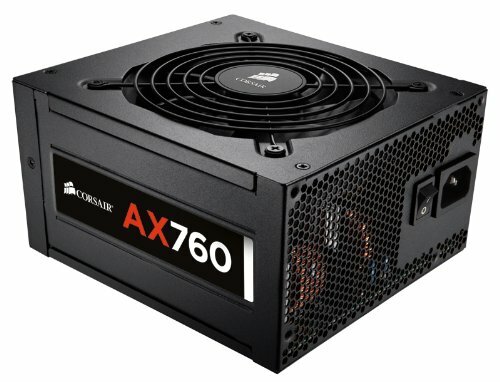 Yes, the first power supply in the 600 – 800 W Power Supply category is Corsair CX Series 650. This Power supply is absolutely perfect for those who easily get irritated by the high noise from the fan, as this one hardly makes any because of its low noise design. It also supports modular cabling which in return provides the better airflow across the power supply and reduce the clutter of wires inside the chassis. The best part is, it comes with the full voltage, temperature and short circuit protection which means your computer won’t fried down even if the load reaches the maximum range. And it also comes with the 5-year warranty. Overall, it’s a decent power supply for your gaming pc if you are looking for something reliable, durable and efficient in under 100$ amount. If you are already using Thermaltake cooling products before, then you probably have to look for their Thermaltake Smart Standard Power Supply which comes in 550, 650, or 750 watts. It comes with so many extra cable connectors which are good if you are planning to put in extra CPU coolers and hook them all up and, you will be the happy person forever. It is a perfect buy for those who are building a mid-range gaming rig. It is more or like Corsair’s CX Series but not widely sold because it is less popular among the people. This power supply is 80 Plus Bronze Certified means you won’t be consuming a lot of electricity bill. Overall, it is not the low noise power supply out there in the market, but it does provide you the value for your money. This is yet another great model from Seasonic which provides extremely high efficiency that you can expect from the top quality brand. 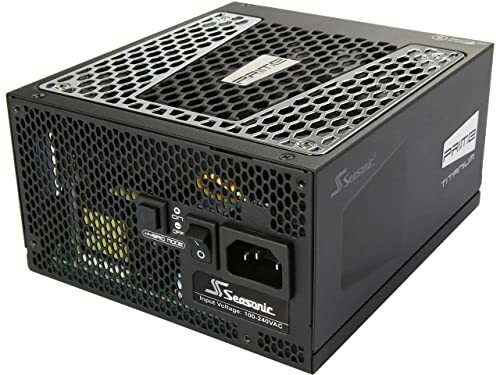 Seasonic 650W 80 Plus Titanium is no doubt the best performance power supply after buying which you cannot even get a chance to complain about its power delivery to your PC components. It has got some abnormal capabilities to suppress ripples to such a level that it can protect your PC even if there are so many fluctuations in the main power supply. The cables come with this power supply are not just nice looking, but are also excellent as they reduce the clutter and provides the better airflow inside the power supply. As a part of the change, the manufacturer has removed all the inline capacitors on the cable itself to reduce the heaviness of the system. And now you can enjoy more flexibility, durability, and reliability in the installation part. This model of Seasonic comes with the 12-year warranty and 80 Plus Titanium certification which is in itself is the big thing for any manufacturer to offer unless they have full confidence in their product. Overall, Seasonic is arguably the best brand of power supply you can buy in 2018 for your gaming PC. The Seasonic company so far is trying very hard to become the king in the market when it comes to the power supply product. And this one is their another best selling power supply on Amazon. Long gone the problem of fluctuations and ripples once you opt for the top PC power supply from Seasonic i.e Seasonic Focus Plus Series SSR-750FX 750. The Focus Plus power supply comes with the modular design which allows you to use only those cables that you actually need in your PC and because of the same, there is so much of airflow in the case and elimination of unnecessary wires and clutter. To maintain the long-term reliability, Seasonic is using high-performance Japanese capacitors. In addition to that, Seasonic Focus Plus has 140mm Fluid Dynamic Bearing fan which you can operate in three different modes Fanless Mode, Silent Mode, and Cooling Mode. This Fan automatically adjusts its speed or can also go into idle stage when the load consumption drops down to below 30% and it’s not over yet, Seasonic also provides a switch on the back side of the power supply case through which you can customize your cooling needs by selecting the options between the Seasonic S2FC (fan control without Fanless Mode) and the S3FC (fan control including Fanless Mode). 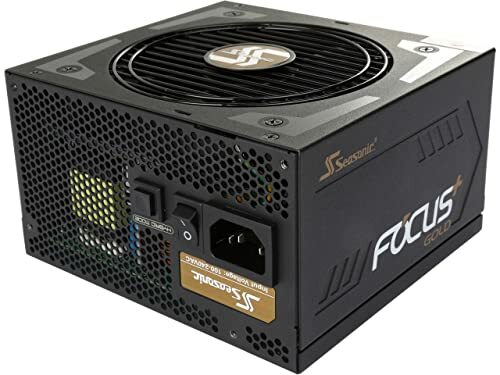 Seasonic Focus Plus power supply also includes ±3% tight voltage regulation, that means if you have any fluctuations in the main voltage, this power supply can easily remove the pulsating ripples and provides the constant flow of power to the GPU/CPU. In layman language, the smaller the fluctuations in the power distribution, the better will be for the Hardware components and this functionality you don’t find in Cheap power supplies for PC. Overall, this is the best buy power supply for your PC on which you can easily rely on when it comes to the reliable power distribution. If you are looking for a highly efficient power supply with a long warranty, then this one is just fine for your needs. 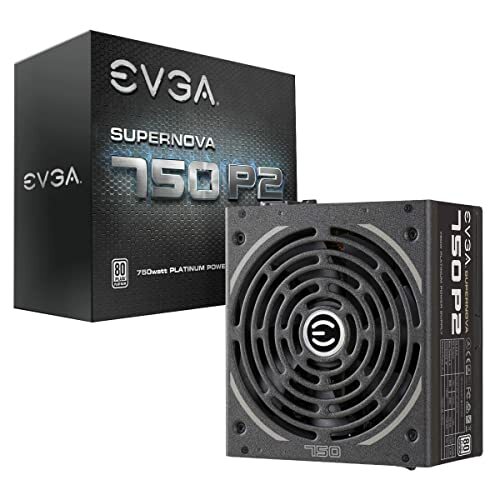 As the name says, EVGA SuperNOVA 750 P2 is a fully modular power supply incorporated with EVGA’s ECO Intelligent Thermal Control System to control the speed of the fan. With the help of EVGA’s ECO Intelligent mode, now you can select the silent, fan-less operations if your load consumption is in between low or mid-range. The switch of this power supply is located in the front which makes it harder to access once the PSU is completely installed. Another worth to look for an option in this power supply is that its 140mm fan doesn’t start spinning until the temperature of the internal components reaches a pre-programmed setting which obviously helps in electricity consumption. To provide a reliable cooling within the power supply, the company uses a 140mm dual bearing fan for the noiseless operation and long life of the power supply. This power supply features a modern LLC resonant circuit design and high-quality Japanese capacitors which improves the overall efficiency of the supplied power to all the components in the PC. Overall, coming with a platinum rated efficiency this power supply will not let you down in terms of better cooling, high performance, low power consumptions and reliable power distribution to all the part of your Computer. This power supply model from Corsair is the excellent power supply for your gaming PC originated from the AX series. It is highly suitable for the multiple GPU solutions and the overclocking. Being platinum certified, this power supply can easily provide efficiency up to 92% and fanless operating mode up-to (70% load) which in turns provide you the proper cooling, low noise of the running fan and lower electric utility bills. Corsair AX760 uses the hybrid fan controller technology with Zero Rpm, it means the fan will remain off until the load reaches up to greater than 70%. It is based on 100% modular design having the small window panel in their chassis to connect modular and other extra cables. 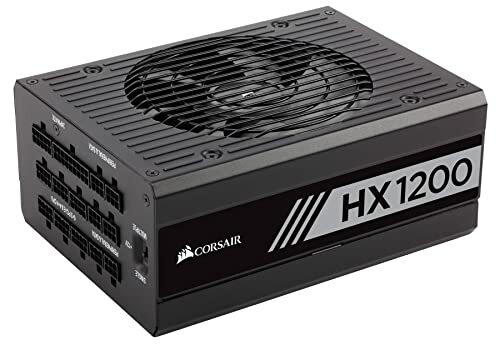 Overall, this is the top line power supply from Corsair which delivers high efficiency, low noise, and ripple free power supply to all the PC components. Moreover, it carries platinum certification which means it produces less heat in running mode, and less heat produced corresponding to high efficiency and low power wastage. This range of power supplies is pretty much more than enough to satisfy every thirst you have for your high-end gaming PC. You can easily run multiple GPUs, CPUs, and hard drives with this category of the power supply. Keep this thing in mind that the power supplies in this range are not going to be easy on your pockets, I mean not going to be budget friendly, but it could be worth spending on high-performance power supplies especially if you are dealing with extreme performance and stability. There are also power supplies in the range above 1000W+, but those are really beasts which are used by professional gamers and designers. Actually, the amount of power supply your system needs is totally depending on how much high-end components you are using in it. So, now you know when you require this range of power supplies, then let’s move to the individual reviews of high-quality power supplies for your PC. In 800-1000 watt power supply category, the first model I am reviewing comes second in the EVGA’s hierarchy. 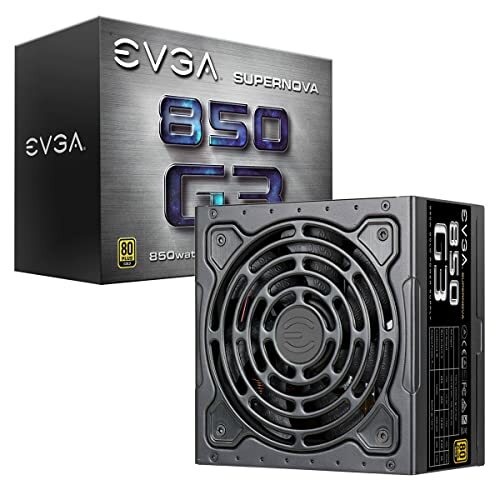 The EVGA SuperNOVA 850 G3 is highly efficient to power a high-end gaming PC. The EVGA G3 series is based on their award-winning G2 series but with more accurate efficiency and reliable power distribution. It comes with a 130mm double bearing fan which provides low noise running almost similar to the G2 series. The fan operates on the EVGA’s ECO Intelligent Thermal Control System which provides fan-less operations whenever the load is in between low to mid power range. This power supply is backed by the 7-year warranty and an 80 Plus Gold certified efficiency. It also supports all type of modular cables and also features high-performance Japanese capacitors. Overall, EVGA G3 is appropriate for the stable power distribution and due to its limited depth, it is compatible with most of the ATX cases available in the market. Till now if you are not able to decide which power supply is best for your gaming pc, then your wait is finally over because the next power supply I am going to review is an awesome corsair power supply product that you can’t resist to buy. The RMx series from Corsair has almost everything you need in a good power supply for your PC such as it has high-quality durable components which last for longer years, It is equipped with fully modular cables, it is highly optimized for quite operations and efficiency & it also incorporates zero fan mode which means the fan will not come under running mode unless the load crosses the mid-range load rating. The cooling fan inside this power supply is designed to provide low noise running and high static pressure. The power supply is Gold certified which ensures high efficiency and less ripple power supply distribution. Overall, if you are looking for a fully modular PSU for your PC which can bear the load flawlessly, then Corsair RMx is the best option for the power supply. This power supply comes to the top position when we talk about compatibility. 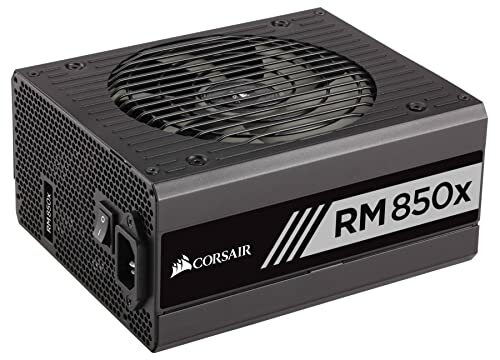 A lot of you are looking for the efficiency and reliable power distribution when it comes to the best power supply, but as we talk about both compatibility and top quality features, then nothing can beat Corsair AX860. 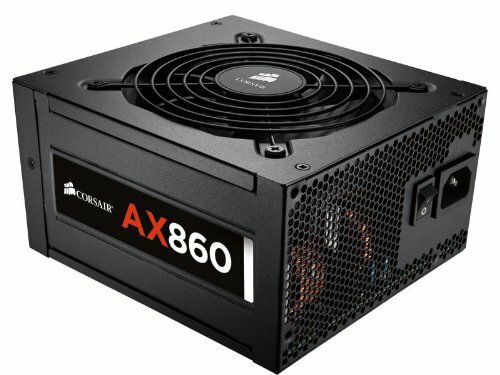 The company has taken every safety standards into consideration while designing these power supplies, as a result, the outcome Corsair AX860 got many safety approvals from CE, CB, FCC, CCC, and more. It has fully modular cabling design with stealth cables which means all of its cables are black and many of them are even flat. It has a switch on the rear side of the PSU which you can use to toggle between the normal and the hybrid operations. This power supply comes with the 7-year warranty like every other product of Corsair AX series and this clearly shows how much the manufacturer is confident about its product performance. Overall, it is a premium looking power supply which has the high compatibility with all the latest and backward standards of ATX system. 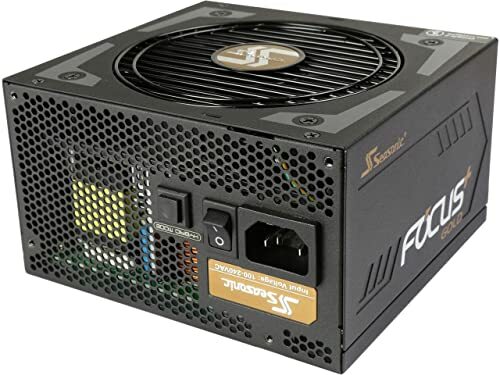 And yet again another newest power supply from the market leader Seasonic and this time I am talking about Seasonic Focus Plus Series SSR-850FX. This power supply has already got 80 Plus Gold Certificate which means it can deliver 87% efficient at 20% load, 90% efficient at 50% load, and 87% efficient at 100% load. It is widely known for its compact size that includes 140mm deep: high power output to size ratio. This power supply comes with the cable free design as it operates on the newer technology which is now adopted by many manufacturers in the market i.e the use of PCB boards in place of cables. The use of PCB board provides the large space inside the PSU after the complete installation is done. PCB based Power supply units are more likely to work on automation as they require no or minimum manual inputs from the cable. This power supply incorporates High-performance Fluid Dynamic Bearing (FDB) fan in place of normal ball bearing fans to provide less noise environment in the running mode. Th most important thing that makes this power supply the best power supply for gaming pc is its capability of working in three different Hybrid Silent Fan Control modes such as fanless, silent and cooling mode. This type of working can save up to 20% of the electricity consumption and can make a huge impact on your electricity bill. Overall, if you are looking for a high performance best PSU option for the space-constrained cases, then you should not wait further and buy this power supply right now. When it comes to efficiency, the Rosewill Glacier Series is the high performance oriented power supply for your PC. Its semi-modular design is well maintained and can give you the better ease when it comes to the installation part. The power supply can easily deliver high efficiency, reliable and high stable power supply to your gaming PC components. Rosewill Glacier Series Continuous 80 Plus comes with the intelligent thermal operation fan. It means, the fan can easily adjust its speed automatically according to the rise in temperature inside the power supply. This process helps in maintaining the cool air inside the power supply. It comes with an 80 Plus Bronze certificate which means, it can provide the overall efficiency closest to 82% to 87% or more efficiency at normal loading conditions. The company provides the strong single +12V rail for less heat dissipation and low power supply loss. Overall, it is a fantastic power supply choice for your gaming PC. This range of power supplies is not used by many gamers in the market. As I already said, this amount of power is only required when you are building an extreme high-end gaming PC. If you are among the one who is more likely to play with overclocking and run 3-way or 4-way SLI/CrossFire, then also you probably won’t need it practically, but it is good to have high range power supplies in those cases. EVGA SuperNOVA 1600 is a complete beast when it comes to the maximum power supply to the PC components. This type of power supply is well suitable for powering up your gaming PC especially if you have more than one GPUs to run. Without a doubt, this model can handle large power supply needs. It comes with the 80 PLUS Titanium certification, which is very much difficult to get, as the manufacturing company has to pass their product with so many different high-performance power supply delivering checks to get this type of certificate, and this is the only reason you won’t find many power supplies in the market have this type of certification. It has a fully modular design. You can connect different cables as per your needs which in return creates so much of empty space inside the power supply for the better airflow. This power supply does include 140 mm double bearing fan that enables efficient cooling at low noise environment. It provides the overall heavy-duty protection of your gaming PC from the shortcircuit and in case of extremely high power input supply. The only thing I don’t like about this power supply is the location of the ECO Switch, it is placed inside the power supply case and is very hard to operate once the PSU is fully installed. Overall, I highly recommend this power supply to all the gamers who are looking for high performance and efficient power supply Unit for their gaming PC. 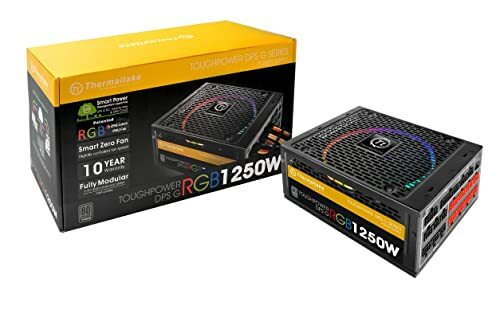 Before reading further the entire review of Thermaltake Toughpower DPS, let me tell you, this power supply has a lot to offer with so many different functionalities, so bear with me till the end. First of all, this power supply comes in a fully modular design, so you can connect all the cables you require as per your needs. Secondly, all the high amperage cabling such as ATX 24-pin and all the PCI-E and ATX12V/EPS cables comes wrapped within the plastic fabric. Thirdly, the power supply comes with the proper 8-pin PCI-E connectors (four of them) not just in 6+2 pair which you often find in most of the power supplies. Specifically, this feature that I am going to tell you is most preferred by those gamers who are into looks and aesthetics. Yes, Thermaltake Toughpower DPS comes with the patented 256 RGB lights that you can control anytime through the DPS app software. Keeping the cooling of the power supply in mind, the company incorporates 200mm long hydraulic bearing fan to ensure the best performance of the power supply. Overall, this is a top quality gaming power supply providing high performance with the aesthetic looks, especially for the gamers. Corsair CP-9020140-NA HX1200 is the best choice for high-performance PCs where reliability is the first priority. It offers quiet, efficient operations, the 80 PLUS Platinum efficiency provides the less dissipation of power in terms of heat, and moreover, the ZERO rpm fan mode ensures low noise environment at medium or low range loads. The company uses the high end 100% Japanese 105°C capacitors to make sure of its durability and solid build of the inner components. This power supply also provides the user the option to choose between the single +12V rail or multiple +12V rails. Like all high-performance power supplies, this one also includes135mm thermally controlled, fully dynamic bearing fan and fully modular design capabilities. The best part about this power supply is that you do not have to worry about over voltage, under voltage, short circuit and over temperature in between the running mode, as it provides the maximum safety to all the critical components of the system. Overall, backed by the 10yr warranty and awesome Corsair’s technical support, this power supply could be the first choice for your gaming PC. This is probably the last power supply in the list of best PSU for gaming PC. And we will not let you go from here on without a shock. Yes, this time I am talking about another ultra high-performance power supply from Corsair, RMx Series 1000W fully modular power supply. This power supply speaks on its own behalf when it comes to the quality, it is 80+ Gold Certified, which means a null amount of heat loss and extremely high efficiency. All the internal parts of this power supply are of premium quality to ensure a durable and solid structure. With the wide compatibility, you don’t have to worry about which motherboard, CPU and ATX case it is compatible with. And on top of that, Zero rpm fan mode provides the very silent operations at low or mid-range load. And all thanks to the Japanese 105 Degree C capacitors for the long-term reliability and smooth working. The manufacturer is giving 10 years of warranty, what can be more amazing against having such amount of value for money. The only thing you have to be cautious about is to never use other cables from the other manufacturer, or model series without verifying compatibility! Overall, with the durable structure and fully modular design, this power supply is definitely the best PC power supply in the market for you to buy anytime soon. When it comes to power supply there is so much amount of Spec information and general information available in the market. In this Buying guide, I am going to talk more about the generalized side of how to buy the top power supply for gaming PC. How to pick the correct wattage power supply? this is the tricky question especially for the first time builders who might be not familiar with how power hungry some of their components in the computer system are. Once you chose the correct wattage power supply for your system after that the rest of the tasks of building a gaming rig relatively gets simpler. So without further ado, let’s talk about power consumption and how to select a better power supply. There is a common misconception in the market that power supplies are based solely on TDPs (Thermal Design Power), no doubt this is a good way of having a rough idea about how much power your system needs, but it’s not an assured thing. Let say if you have a CPU of TDP 91 watts, it doesn’t mean it only consumes 91W. In fact, if you might overclock the CPU, it might consume 150 Watts. So you can understand how TDP and total power consumption are somewhat proportional, as you increase the total power draw, the heat output must increase, but there is a small margin of losses are there as nothing is 100% efficient. So, in summary, adding TDP is actually an underestimation of total power draw which actually not make sense. So here are some general things to know for deciding the best wattage power for your system. Firstly, you need to know that there are two most power hungry components in your PC is Graphics card and your CPU. So when it comes to picking the PSU, you want to refer to these first, and then adding other things also such as gaming load, editing load, and torture load. Depending on what you do, your power consumptions will vary. If you play video games on a daily basis, you are probably pouring more power than you are adding on a daily basis. Usually, video editing and graphics editing will leverage your amount of power supply needed, but in gaming, the use of graphics card and CPU is almost 50-60%, so you require more optimization of power supply in those conditions. After gaming load, we have torture load in which the actual efficiency of the system is checked. The torture load is the maximum unrealistic workloads applied to the CPU/GPU to ensure that under the worst case scenario those components will be stable at given frequencies and voltages. So a gaming workload is a pretty much safe estimation of what is the wattage of your power supply should be, but I also recommend choosing the power supply higher than the torture load. So there is a right way to determine how much power your build will pull from the power supply under any workload. Use a watt meter take up the difference between the output and the power supply and boom that is how much power your system point under any given load. Keep in mind that some of the power will get lost in the inefficiency of the power supply itself, somewhere in between 80 & 90% of that is used by the system. Reading through the entire article, you stumble upon the word fully modular power supply and semi-modular power supply. Actually, it is an important aspect to choose the best power supply. In earlier days the cables from the power supply were just coming out from all the places, it can be seen as an octopus, but jokes apart, that bunch of cable wires is hard to manage which cause the clutter inside the entire power supply and the chases as well. But the modern day power supplies adopted the Modular and the semi-modular design, the Modular design is the one in which all the cables are not hard-wired, you can use only those cables that you need while creating your gaming rig, and on the other hand, in semi-modular design, there are a number of wires that you don’t plug or unplug on a daily basis are hard-wired and rest are by default free. Prevents damage to PC: Having a top quality PSU will protect your internal components of PC from shorting out and thus provide an increased lifespan of all the internal hardware components. Cutoff electricity bill: A high-efficiency power supply can reduce your electricity bill, which can make a significant impact if you are a serious gamer. Provides Future Compatibility: If you decide to upgrade your PC in near future, or you would like to overclock your PC, in that case, you won’t have to buy a powerful PSU to provide to provide the stable power supply. Can a better power supply improve the performance of the PC? No, purchasing a good quality power supply will not affect the performance of your gaming pc. It will not make your PC runs faster, or increase the processing speed and neither it will make your graphics card give excellent performance. How many watts of power supply high-end gaming PC use? According to the recent test done by CNET labs, the gaming desktop on average uses 100 watts in an idle state and 145 watts under full heavy load. So finally you make it till the end of best power supply for gaming PC. There is no doubt that the market is over flooded with many power supply brands for buying, but the ones which fulfill all the needs and the qualities of good gaming power supplies are only listed in this article. I strongly believe your search for the best power supply must have ended and you have now found the right choice for yourself. Before wrapping it up, here is the Glinkster’s final verdict on the tested power supplies in this post. 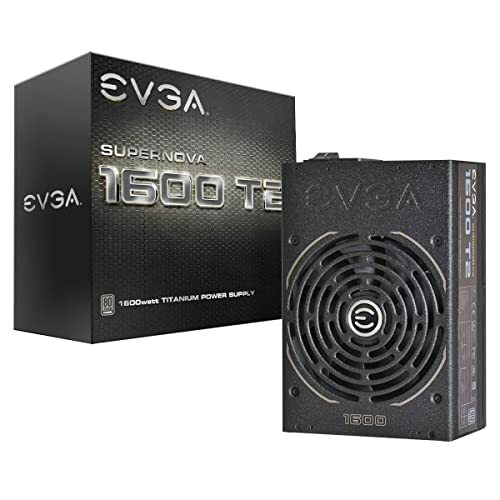 For the professional gamers who are running extreme performance multiple CPUs/GPUs, EVGA SN 1600 T2 is the best high-performance power supply while for those who are operating on a high performance but relatively less than extreme level, EVGA SN 850 T2 is the best PC power supply. 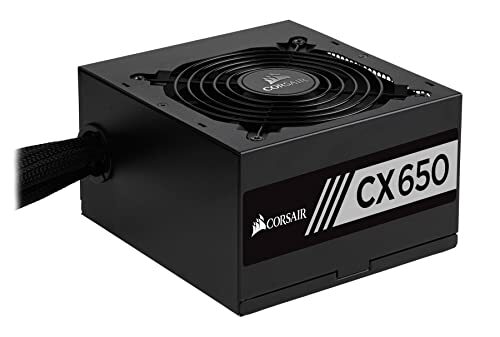 For gamers who are on a budget, Corsair CX550M is the best budget power supply for gaming PC while for those who don’t want to get hard on cable wires, Corsair RM750x is the best modular power supply in the market. In the end, I hope this article helped you in making the final choice for the best power supply for your PC. And if you like to share your opinions and thoughts about anything related to Power supply, feel free to jump into the comment section.